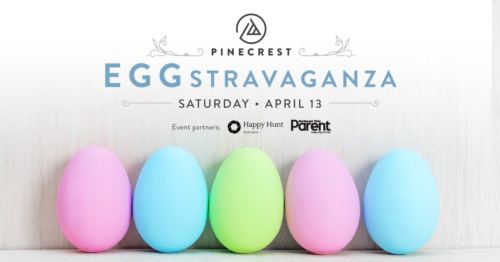 Kids and parents are invited to Pinecrest to hunt for eggs and photo clues throughout the Pinecrest district! Kids up to 10 years of age are invited to hunt for eggs throughout Central Park, located between Silverspot Cinema and Pinstripes. Collect one of each color egg (6 eggs max per child, please) and redeem them at their designated locations for a special treat. Grab a clue sheet from the Cleveland East Side Moms tent in Central Park and complete it by finding clues in participating Pinecrest locations. All participants who return a completed sheet will be entered to win one of many Pinecrest prizes!